Editor's Note: These will be the only posts for today. There are some days even a newsie like me can only stand so much! It is difficult to imagine a more galling demonstration of incivility than the Democrats in the room for Trump's SOTU speech. They scowled, frowned, and sat on their hands throughout the speech. They could hardly be bothered to acknowledge the heroes in the audience when they were introduced. While the Dems brought illegal immigrants, Trump invited actual paragons of American character and the families of victims of illegal immigrant crimes, as well as a victim of North Korea. It was embarrassing, like watching the anti-Semites in the UN stomp out of the room when Benjamin Netanyahu speaks. How is it any different? Our Democrats behave exactly like the most racist, intolerant people on the planet, and in their own Capitol. The Democrats loathe the tax reform that has kick-started the American economy. They abhor the return of American manufacturing and the bonuses so many companies have doled out to their employees. It was not so long ago that Obama essentially swore that "those jobs are never coming back." "Crumbs," billionaire Pelosi called their bonuses. The left today hates our military. They hate the notion of national security. Like Obama, they cannot abide the unfair advantage, as they see it, of American might, American success, and American freedom which they are always trying to impede, to restrict, to regulate and tax. The left has been doing its best to turn the United States into Venezuela for two generations. Progressivism is socialism. Venezuela is how it ends……….To Read More….. The greatest American speech of the century. There are two stories of America. One is the American story and the other the un-American story. On one side there are pilgrims settling a new land and on the other colonists ethnically cleansing the native population. One side sees war heroes and the other sees killers. One sees brave police officers and the other genocidal bigots in uniform. One sees America. And the other hates it. At the State of the Union, we saw those two halves divide up the House Chamber. We saw American elected officials stand for the flag, for the anthem, for veterans, for Jerusalem and for In God We Trust. And we saw the un-American officials selected by corrupt urban machine politics stay seated. The leaders of America and un-America were there in one room while America’s story was told. We saw heroes rise in the House Chamber and we saw the Congressional Black Caucus members in kente cloth scowling through the good news about African-American unemployment. Rep. Pelosi grimaced and Senator Schumer glared through President Trump’s appeal for bipartisanship. Senator Booker stared hatefully and Elizabeth Warren ranted hysterically on Twitter. For far too long, I was convinced that the media were, on the whole, reliable purveyors of the news. For nearly three years I freelanced happily at the Canadian Broadcasting Corporation in Music and Public Affairs, never suspecting that the Mothercorp was a hive of Liberal propaganda and an artesian fount of scandalously disingenuous broadcasting. It took 9/11 and the generally extenuating media reports over time, faulting the U.S. and exempting Islam, to shake up my thinking and turn me into a sceptical fact-finder. The media are especially adept at creating villains out of whole cloth for public consumption to advance a particular and often dubious purpose. How else explain the transformation of significant political figures into synonyms for perfidy and opprobrium. I’m thinking in particular of Joe McCarthy, Barry Goldwater and Enoch Powell, all of whom considered themselves patriots and enunciated unpopular or anti-establishment truths, costing them their reputations both in their lifetimes and for posterity. Favorable commentators will admit that McCarthy may have been guilty of exaggerations and errors, but as the Venona transcripts have verified, he was right overall……….To Read More…. A special counsel for the FBI? FBI Implosion Continues: Andrew McCabe OUT At Embattled Bureau! Thousands of Turkish troops poured into the northwestern Syrian province of Afrin in recent days. Turkish Prime Minister Tayyip Erdogan promised that the deployment was only the start of a broader effort that would see Turkish forces sweep the entirety of northern Syria – all the way to the Iraqi border – in order to purge Syria of forces hostile to Turkish interests. Under pretty much any circumstances, the entry of a new power into a multisided melee that involves the Syrian Alawite leadership, the Lebanese militias, the Iranians, the Russians, the Americans, the French and dozens of local warlords when that new power alone has more armed combatants within arm’s-reach than all the other factions have in-theater put together would be notable. But the kicker is that this is only the first of three relevant facts. The second is that the world has forgotten just what “Turkey” means. The Ottoman Empire’s fall in the First World War (1914-1918) was far more than a mere military defeat. 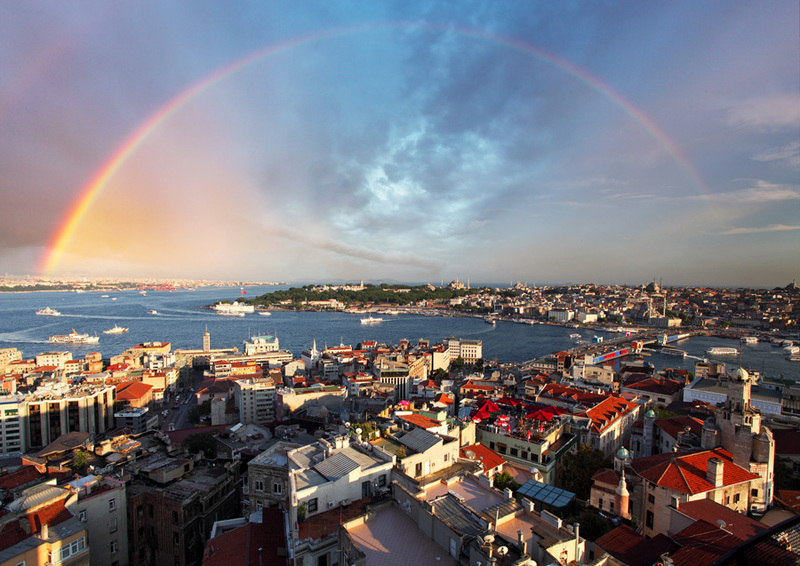 For much of the previous millennia, Istanbul had been the world’s economic and cultural capital – the crossroads not just between Europe and Asia and the Black Sea and the Mediterranean, but between everything that mattered. At war’s end the country suffered not just an economic depression and loss of nearly all its imperial territories, but crushing humiliation on every conceivable level. At one point it got so bad that dysfunctional, tribal, underequipped Greece even staged a brief invasion. It would be as if the United States didn’t just lose a war, but had all its territory west of the Appalachians amputated and divided among other countries, and then somehow the Puerto Ricans marched on Atlanta. In the aftermath, Turkey’s response was to close itself off from the world, lick its wounds and struggle to forge a new identity. Two factions eventually emerged as heirs to the empire: a secular, military-rooted group that sought integration with Western structures; and a mildly Islamist, more Orientalist faction who saw advantages of the non-Western way of doing business whether that be the centralization of the Soviet/Russian system or the dynastic, clan-based communities of the Arab world. Put simply, one faction favored the military and economic patterns of the West, while the other preferred the cultural and political styles of the East. While this soul-struggle ebbed and flowed through the Cold War decades, the Turks realized they were simply too broken to stand on their own. One result was reluctant inclusion into the NATO alliance. Another was a partnership with the Europeans that stopped short of formal European Union membership. But beyond those narrow topics, the Turks kept to themselves. 1.Even in times when the Turkish soul was most divided against itself, both factions maintained a firm belief in the unique nature of Turkishness – a self-identity that is far less compromising than that of most peoples. Even the most ardent pro-Western secularist never saw Turkey being the same as the West, just as even the most Islamist Orientalist always considered Turkey as being apart from (and above) the Arabs, Persians and Russians. American commanders operating from Turkish bases consistently and unequivocally warned their troops that on Turkish soil you follow Turkish law or else you end up in a Turkish prison and there’s not a damn thing that American military lawyers can do about it. 2.Since 2000 the Islamists/orientalists haven’t simply won the culture contest, they’ve won so decisively they’ve eliminated the secularists from nearly all walks of Turkish life. Ruling Turkish Prime Minister Erdogan has also purged the ranks of the Islamists themselves so that his particular version of Orientalism will remain the ruling ideology of Turkey for decades to come. Turkey is once again of a single, consolidated, confident voice. If you don’t like its tone and timbre, well, you missed your opportunity and you’ll have to wait for the wheel of history to turn once more. Last time that took a century. 3.Turkey in general and Erdogan in specific are only now making their first steps as an independent power in their neighborhood. In a neighborhood made up of the Balkans, the Caucasus and the Middle East the margin for error is thin, the opportunities for missteps are omnipresent, and complications that will take decades to sort out are all but guaranteed. Between the neighborhood’s volatility and the twin, potent egos of Turkey as a nation and Erdogan as a leader, Turkey has become an erratic force in the regional geopolitic. Much as America’s remoteness from the Eastern Hemisphere coupled with its naval prowess means that American power doesn’t matter until suddenly it does, Turkey’s century of self-imposed isolation combined with its 600,000-strong army means that the Turks are roundly ignored until they suddenly and unexpectedly show up. As they are now in Syria. The final issue is that the Syrian war is no longer some tangential issue for the Turks. It has been elevated to an issue of national survival. Part of Turkey’s post-WWI cultural reflection was a dismantling of its old multi-ethnic imperial Ottoman identity and its replacement with a far narrower emphasis on ethnic Turks specifically. If you’re Turkish this of course makes perfect sense. If you’re of one of the few other nationalities that live in Turkey, however, it is somewhat problematic. The largest of these “other” groups are the Kurds, who started out as second-class citizens (at best). Over the decades some Kurds didn’t simply resist, they revolted, with the more militant ones forming the PKK – a quasi-terror rebellion group under the leadership of one Abdullah Ocalan. Conflicts between the Turkish government and Ocalan’s PKK have claimed tens of thousands of lives. Another armed Kurdish faction – the YPG – is active all along the Syrian side of the Turkish-Syrian border. They are by far the most competent fighters battling the Syrian regime in the civil war, and have often served as reliable proxies for American efforts against both ISIS and Damascus. The YPG has proven itself united, capable, loyal and ultimately effective at breaking ISIS not simply in the Syrian periphery and ISIS core territories, but right up to and including ISIS’ capital at Raqqa. The YPG is the centerpiece of America’s Syria strategy, and American success against ISIS would have been fundamentally impossible without the YPG. The fact that the YPG is Kurdish and that YPG’s presence is right on the Turkish border was enough to make the Turks nervous, but YPG actions at the Raqqa battle chilled the Turks to their core. At Raqqa’s moment of liberation from ISIS, YPG fighters replaced the ISIS flag with the personal standard of none other than Ocalan himself. Turkey cannot and will not tolerate a PKK-leaning Kurdish statelet on its border, and so Turkish troops have rolled across the border. They haven’t moved alone. Turkey has mobilized every Syrian faction over which it has influence. Beginning in late 2016 the Turks assumed functional control over the Free Syrian Army, transforming a ragtag coalition of local Arab and Turkmen fighters into a direct Turkish proxy. The “Army” is operating hand-in-glove with Turkish forces… against the American-backed YPG. Turkey is now not only the most powerful faction in the conflict, it is putting its back into the war, and it is motivated by a deep-seated fear to the coherence of its national identity. This is not the stuff of which compromises are made. And the Turks are now not just standing against the Americans, but literally firing artillery into the very heart of the Americans’ entire Syria strategy. It is my belief that the NATO alliance ended back in 2017. It is a position which I’ve seen no reason to amend, but what is occurring now in Syria is a whole other level. Two NATO “allies” are not simply having a disagreement, but they are shooting at one another’s assets in a conflict that one of them defines as an existential crisis. Turkey, the Middle East’s most powerful player who is far more economically and militarily potent than Iran and who could even stand up to the Russians in a fair fight, has returned to the world as a fully independent player. With the Russians, Turks, Iranians and Saudis all gearing up for a battle royale, the United States has already achieved everything any sane Middle Eastern policy could ever hope for: The region is divided against itself and will marvelously self-contain for decades. The United States has no meaningful interests in Syria. Israel is safe. Iran is locked into a combat it cannot possibly win. The United States no longer has a stake in the region’s oil. 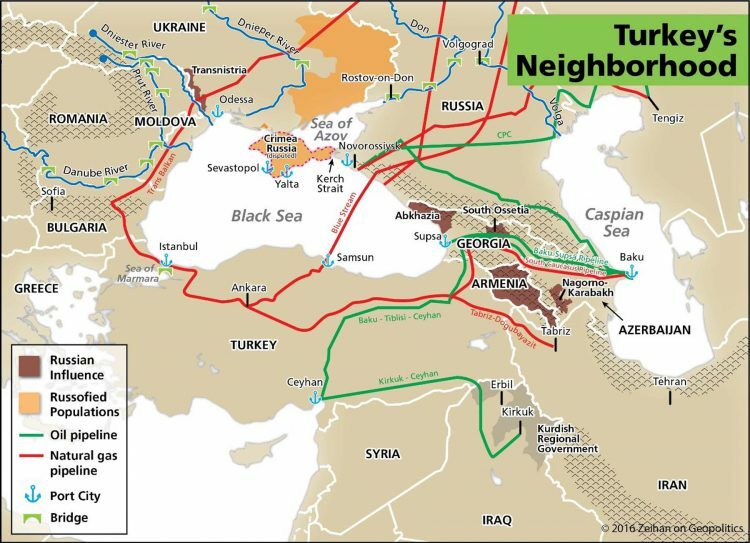 And the newest power player – Turkey – just made an open-ended commitment to a multi-sided land war. There has never been and likely never will be a better time for the Americans to disengage. So what’s the problem again? Judged by the amount of attention various provisions produced, last year’s fight over tax reform was about reducing the corporate tax rate and limiting the deduction for state and local taxes. But there were many other important changes, including a a big increase in the standard deduction (i.e., the amount households can protect from the IRS), a shift that will reduce the number of people who utilize itemized deductions. A report in the Washington Post suggests that this reform could hurt charities. Many U.S. charities are worried the tax overhaul bill signed by President Trump…could spur a landmark shift in philanthropy, speeding along the decline of middle-class donors… The source of concern is how the tax bill is expected to sharply reduce the number of taxpayers who qualify for the charitable tax deduction — a big driver of gifts to nonprofits. …the number of people who qualify for the charitable deduction is projected to plummet next year from about 30 percent of tax filers to as low as 5 percent. That’s because the new tax bill nearly doubles the standard deduction and limits the value of other deductions, such as for state and local taxes. Many charities opposed this change. As an aside, here’s the part of the story that most irked me. “The government has always seen fit to reward the goodness of Americans with a tax incentive,” said Lt. Col. Ron Busroe, development secretary at the Salvation Army. Huh, how is it goodness if people are only doing it because they’re being bribed by the tax code? But let’s stick with our main topic of whether the tax bill will hurt the non-profit sector. A Bloomberg column also hypothesized that the GOP tax reform will be bad news for charities. Will Americans give as generously now that the incentives have completely shifted? Recent research provides little hope for them. …last year’s tax reform…doubled the standard deduction, effectively eliminating most taxpayers’ ability to itemize deductions via contributions to charity…. Tax cost refers to the actual, post-tax price that someone pays when they make a donation. Imagine someone with a marginal tax rate of 25 percent. Every dollar donated only “costs” the taxpayer 75 cents after he or she takes the charitable deduction. …What happens when you change these “tax costs”? …Almost everyone who studied taxpayer behavior found that the charitable deduction encouraged people to donate more than they would if it didn’t exist. But studies yielded very different price elasticity figures ranging from -0.5 (a dollar in lost tax revenue generates an additional 50 cents in donations) to -4.0 (every dollar in forgone tax revenue generates a whopping four dollars of donations). A recent meta-analysis of approximately 70 of these studies yielded a price elasticity a median of -1.2. A recent study by Nicholas Duquette of the University of Southern California…examined how taxpayer contributions changed after the Tax Reform Act of 1986, which increased the tax cost of giving by dramatically lowering marginal tax rates. The result was eye-popping: A 1 percent rise in the tax cost of giving caused charitable donations to drop 4 percent. I agree that lower tax rates increase the “tax cost” of giving money to charity. And Reagan’s tax policy (the 1981 tax bill as well as the 1986 tax reform) had a huge impact. In 1980, it only cost 30 cents for a rich person to give a dollar to charity. By 1988, because of much lower tax rates, it cost 72 cents to give a dollar to charity. Yet I’m a skeptic of Duquette’s research for the simple reason that real-world data shows that charitable contributions rose after Reagan slashed tax rates. What Duquette overlooks is that charitable giving also is impact by changes in disposable income and net wealth. So the “tax cost” of donations increased, but that was more than offset by a stronger economy. So our question today is whether we’re going to see a repeat of the 1980s. Will a reduction in the tax incentive for charitable giving be offset by better economic performance? Some research from the Mercatus Center suggests that the non-profit sector should not fear reform. …one study by William C. Randolph casts doubt on the claim that the deduction increases giving in the long run. Randolph’s paper analyzes both major tax reforms in the 1980s and follows individuals for 10 years, finding that taxpayers alter the timing of their giving in response to changes in tax policy, but not necessarily the total amount of giving. …lower-income households also donate to charities in large numbers. …However, very few of them benefit in terms of their tax burden, because many lower-income households have no positive tax liability. …For the 80 percent of middle-income filers who do not currently claim the charitable deduction, any cut in marginal tax rates is a pure benefit. Most taxpayers would be better served by eliminating the charitable contributions deduction and using the additional revenue to lower tax rates. I would put this more bluntly. Only about 30 percent of taxpayers itemize, so 70 percent of taxpayers are completely unaffected by the charitable deduction. Yet many of these people still give to charity. And they’ll presumably give higher donations if the economy grows faster. This is one of the reasons the Wall Street Journal opined that tax reform will be beneficial. …nonprofits…sell Americans short by assuming that most donate mainly because of the tax break, rather than because they believe in a cause or want to share their blessings with others. How little they respect their donors. …Americans don’t need a tax break to give to charities, which should be able to sell themselves on their merits. …The truth is that Americans will donate more if they have more money. And they will have more money if tax reform, including lower rates and simplification, helps the economy and produces broader prosperity. The 1980s were a boom time for charitable giving precisely because so much wealth was created. Like so many on the political left, the charity lobby doesn’t understand that before Americans can give away private wealth they first have to create it. A column in the Wall Street Journal also augments the key points about generosity and giving patterns. …a drop in the amount of deductible gifts does not necessarily mean an equivalent drop in actual giving. …recessions aside, Americans have steadily increased their giving despite numerous tax law changes. Individual donations increased by 4% in 2015 and another 4% in 2016. If donations continue to increase at such rates, it won’t take long to make up for changes brought about by tax reform. …Americans have continued to give to charities no matter what benefits the tax code conveys on them for doing so. Last but not least, Hayden Ludwig, writing for the Washington Examiner, explains that charitable contributions increase as growth increases. Liberal groups such as the National Council of Nonprofits claim that the plan will be “disastrous” for charities… The thrust of the Left’s argument is that allowing Americans to keep more of their money makes them stingier, and high taxes are needed to force Americans to take advantage of charitable tax write-offs. It’s ironic that anyone in the nonprofit sector, which is built entirely on the generosity of individuals and corporations, can argue that higher taxes encourage charity – or that charity needs to be legislated. …if the Left’s argument about tax incentives is true, we should see sharp declines in charitable donations after every tax cut in U.S. history. We don’t. According to a 2015 report in the Chronicle of Philanthropy, individuals’ charitable giving rose four percent in 1965 and more than two percent in 1966, following the Kennedy and Johnson tax cuts of 1964 and 1965, respectively. Between the Reagan tax cuts in 1981 and 1986, individual giving rose a whopping 21 percent from $119.7 billion to $144.9 billion. By 1989, individual giving grew another 4.7 percent. …The reason is simple: Prosperity and generosity are inextricably linked. Amen. Make America more prosperous and two things will happen. Fewer people will need charity and more people will be in a position to help them. I’ll conclude by noting that the charitable deduction is the itemized deduction I would abolish last. Not because it is necessary, but because it doesn’t cause macroeconomic harm. The state and local tax deduction, by contrast, is odious and misguided because it subsidizes bad policy and the home mortgage interest deduction is harmful since it is part of a tax code that tilts the playing field and artificially lures capital from business investment to residential real estate. Things to keep in mind for the next round of tax reform. Conservative commentator and outspoken Trump critic Dennis Prager has admitted he was “wrong” to oppose Donald Trump during the 2016 Republican primaries. Speaking on his radio show Thursday, Prager noted that Trump was his very last choice among the the Republican candidates who sought their party’s nomination, though he did support the former businessman over Hillary Clinton in the general election. The government of Venezuelan President Nicolás Maduro, hated by much of the country's population and sanctioned by a growing number of countries, is facing problems keeping the police and military happy as food shortages and hyperinflation start to hit their barracks. Recent meetings and internal documents of the Venezuelan armed forces point to concern in the Maduro regime as troops grow more demoralized and commanders report an increase in the number of insubordination cases and desertions. Once again showing the massive difference between Democrats and Republicans, a new policy put in place by President Donald Trump’s administration will save the lives of Alaskan citizens by canceling a policy put in place by the anti-human Democrats, a policy that has caused the death of dozens of Alaskans. There is a major difference between the two parties when it comes to protecting human life. Democrats simply don’t much care about people. Not only are they pro-abortion, but they also tend to put the lives of animals ahead of the lives of people (tell me how many liberals you know who say the lives of animals are more precious than humans). And the latter couldn’t be better illustrated than by the aforementioned policy in Alaska that Trump has finally changed after nearly 40 years. Like all of his campaign promises that were based on political triangulation, law enforcement, counterterrorism, Jerusalem and gay marriage, it was a campaign lie to be thrown out after the election. Putin praised Obama’s sellout of our allies as a “brave decision.” In his first year, President Trump touted the sale of Patriot missiles to Poland. That was a truly brave decision. 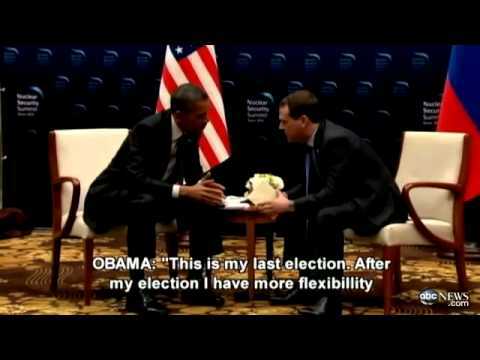 After the Russian invasion, Obama refused to provide Ukraine with military assistance. While he had handed out weapons to Islamist terrorists in Syria and Libya, the Ukrainians were only offered MREs. The same administration that covertly shipped a fortune in foreign currency on unmarked cargo planes to Russia’s Iranian allies took months to meet Ukrainian requests for boots and spare tires. The Trump administrated unapologetically approved the sale of sniper rifles to the Ukrainians. “I’m aware of not only the extraordinary work that you’ve done on behalf of the Russian people," Obama had gushed during his meeting with Putin. There were no protests from the same media that has since then repeatedly suggested that Trump’s praise for Putin indicated a soft spot for dictators. Looking back at Obama’s first year and Trump’s first year, it’s easy to assess who was giving Moscow more. It wasn’t just missile defense. In the spring of ’09, Hillary was in Moscow toting a misspelled Reset Button swiped from a swimming pool. But it was Obama who had first urged a “reset or reboot”. That was the month he sent a secret hand-delivered letter to Russia offering to kill the missile shield. The Russians turned down his proposed deal, but he went through with the appeasement anyway. Trashing missile defense was just one step in a larger effort to revive Jimmy Carter’s defense policies. In his first year, Obama began the push to ratify the Comprehensive Test Ban Treaty. CTBT would have allowed the Russians (and everyone else) to build up their nuclear arsenals while crippling our own. The new START treaty was drafted in ’09 and signed next year. And Russian violations of it were ignored. It took a new administration to change that. In his first phone call with Putin, President Trump blasted the START treaty as a bad deal that gave Moscow a free ride. Next month, the Pentagon officially came out and said what everyone knew. Before the Iran deal, the Russia deal had been Obama’s legacy. And the same lies, echo chambers and spin that would be used to cover up Iranian violations were being deployed to mask Russian violations. The Russians couldn’t have been too surprised at Trump holding their feet to the fire. Trump had blasted the START treaty during the third presidential debate while Hillary Clinton had rambled on about cyberattacks. The Russians would have been far more concerned about nukes than keyboards. That was the same debate where Hillary Clinton had accused Trump of being Putin’s “puppet”. But if that’s true, where are the concessions and the appeasement? Every tangible foreign policy issue that the commentariat at conspiratorial lefty media outlets like the Washington Post, the Huffington Post and ThinkProgress had seized on as evidence of Trump’s collusion has come up short. Remember when Trump was secretly conspiring to lift sanctions for Exxon-Mobil’s Russian drilling project? "Could Massive Russian Oil Deal with Exxon Explain Why Putin Appears to Have Meddled in US Election? ", Democracy Now shrieked. "Trump-Putin Bromance: Election Hacking, Oil Drilling," the Huffington Post caterwauled. "Pick of Exxon CEO for Secretary of State clarifies why Putin wanted Trump elected: a $500 billion oil deal killed by sanctions," the sub yammered. Trump, Putin and oil represented "the gravest threat to humanity (and democracy) since the rise of the Axis powers". Just one problem. Trump refused to let the deal happen. So much for that conspiracy theory. Seizing on the potential Exxon deal was an act of desperation. The left was quick to juggle Russia collusion theories, but had trouble coming up with anything that Russia actually got from Trump. Not only wasn’t there anything like Obama’s Year One windfall of appeasement, but Moscow was getting nothing but trouble. The new National Defense Strategy lists Russia as a major threat. It’s a return to the Republican view of Russia as a geopolitical threat that Obama had mocked Romney for. The Washington Post, which boasts a new Russia-Trump conspiracy theory every five hours, responded by claiming that Trump’s policy of confronting Russia is exactly what Vladimir Putin wants. "Trump's strategy pushes confrontation with Russia, and Moscow is pleased," a Post op-ed declared. What better evidence could there be that Trump is Putin’s puppet than that he’s standing up to him? The new Russia conspiracy meme borrows the old Obama spin on Iran and ISIS which accused critics of “playing into their hands” by trying to fight them, instead of appeasing them. It was classic Orwellian spin. “Weakness is strength”, “lies are truth” and “opposition is collusion”. But it said something about the weakness of the collusion reality that the Post was forced to rely on such weak Rhodes-ian spin. What had Trump done for Russia? Well he stood up to it. And that’s exactly what Putin wants. The media’s case for collusion comes down to the hacking of Democrat emails. But while having Podesta’s missives exposed to daylight was clearly a traumatic event for the Dems, it’s not exactly up there with letting the Russians have a free hand in Europe. Or letting its Iranian allies go nuclear. The media has blasted us with headlines about the meeting between Trump Jr. and a Russian lawyer about the Magnitsky Act. But a year later, the Magnitsky Act is doing just fine. There’s been no review. Obama had singlehandedly dismantled the Cuban embargo. If Trump had really wanted to, the sanctions on Russia would be a memory. But instead the sanctions keep on coming. The media made much of Trump's signing statement to CAATSA criticizing its intrusion on his authority. Obama had repeatedly made similar objections, though using very different rhetoric, in signing statements to previous bills. When the administration missed the October 1 sanctions deadline, the media again rolled out the conspiracy theories. “The Trump administration is delaying Russia sanctions that Congress demanded,” Vox bleated. The sanctions were sent in the very next day. The media has come to specialize in spinning conspiracy theories out of process. It’s safer to focus on the trees, because then they don’t have to notice that there’s no forest. But it’s a sign of just how little it has to work with when it comes to real life policy as opposed to the conspiracy theories of its bubble. “What did Putin want from Trump and what did he actually get?” a Newsweek article inquires. It’s forced to conclude that the answer is nothing. Russia received a whole lot from Obama in his first year. Trump has dealt it a series of setbacks instead. Newsweek concludes that Putin helped elect Trump, but got nothing in return. That would make Putin rather stupid. And no one has yet accused him of that. But that’s what the current collusion conspiracy theories of the left have irrationally been reduced to. Putin helped elect Trump. And got nothing from Trump for it. Now it’s time to impeach Trump anyway. Backing Trump never made any sense. Republicans have traditionally been more hostile to Russia. And Trump’s entire pitch was nationalism. Nationalist leaders in small countries might collaborate with Putin, but the nationalist leader of the United States could only end up on a collision course with Russia. Obama’s first year was a golden period for Russia because he didn’t believe in national interests. Trump does. The left inevitably accuses the right of its own sins. Trump didn’t collude with Russia. Obama did. Donald Trump will deliver his second State of the Union tonight, dogged by Democrat and media allegations that he is Putin’s patsy and fanboy. The wily Russian gave Trump an assist into the White House and POTUS is paying his benefactor back with deferential behavior. Shock waves in the FBI’s – and Democrats’ – corridor. Divided on partisan lines, the House Permanent Select Committee on Intelligence voted yesterday to make public a memo asserting the FBI relied on the discredited Trump-Russia dossier to obtain court-ordered foreign-intelligence wiretaps against U.S. citizens, a breathtaking abuse of power. The document is already generating shock waves in Washington, even though few on Capitol Hill are said to have read it. As the FBI continues to self-immolate at a record pace, the “resistance” rats who had burrowed into the dank, nesting corners of the bureau are fleeing at a record pace. The bureau, which has long been a mythical mess of corruption, lies, espionage, and secrecy, has reached all new levels of deplorable behavior in the wake of Donald Trump’s electoral victory over a year ago. Given that the organization roundly refused to effectively investigate despicably devious democrat Hillary Clinton for her obvious crimes against America, and then refused to prosecute her when the truth arrived in the media, it comes as no surprise that the FBI has come under fire from Trump and his fellow republicans. After firing former director James Comey for his vapid ineffectiveness, Donald Trump was brutally attacked by the left who saw the move as some sort of Washington power grab. (To be fair, you can’t drain the entire swamp without this sort of flippant feedback). My Take - I keep coming back to the same question. What can be done when those who are empowered to enforce the law are law breakers themselves? I keep coming back to the same answer. Throw them in jail before they so totally corrupt the system a totalitarian regime takes control. Among my circle of friends it was pretty much agreed - from before he was elected - Obama wanted to destroy America. Of course most people laughed, and accused me of just being prejudiced against Obama. But I keep saying this over and over again: Tell me the history and I will give you the answer. His history could lead me to no other conclusion. Now the history of his administration is clearly showing that's exactly what he was doing, and if Hillary had been elected all of this criminal activity would have gone away forever and it wouldn't be long before that fascist regime came into being. After that the purges would begin - just as it has in every other fascist/communist (both are socialists, just two sides of the same coin) regime that's taken control of a stable society - a society they destabilized. There are only three things socialists are good at: Stealing everyone's money, destabilizing stable societies and killing a lot of innocent people - either directly or indirectly through their insane programs. Socialists all demand utopia. No imperfection could be tolerated! They have never delivered anything except dystopia and imperfection - misery, suffering and early death, isn't just tolerated, it's an unending reality. A secret, highly contentious Republican memo reveals that Deputy Attorney General Rod J. Rosenstein approved an application to extend surveillance of a former Trump campaign associate shortly after taking office last spring, according to three people familiar with it. My Take - Once again we see massive corruption and criminal activity by the intelligence and law enforcement agencies of the nation in cooperation with the Democrat Party. Someone needs to be charged and prosecuted from the FBI and the Justice Department. Then maybe that will start the ball rolling to go after the IRS, EPA, and all the other over reaching out of control agencies, but someone needs to start doing it soon. Back when I was a young man I had a Greek-American friend that taught me Rule One about democratic politics. This was back in the mid-1970s when the Greek colonels had just conceded power back to the center-right party in Greece. What was needed now in Greece, my friend insisted, was that the center-right party concede power to the center-left party at the next election, and that the center-left party concede the next-but-one election to the center-right party. Here in America, the Democrats have failed to concede the last two normal change elections that went against them: the 2000 presidential squeaker election and the 2016 election. But you will search long and hard among your liberal acquaintance for anyone that understands how serious this is. Now we have a piece on “This Civil War” from Daniel Greenfield, a speech given to the Tea Party convention of South Carolina. When you have a party that doesn’t concede elections then you have a civil war, he says. How do you know you have a civil war? Two or more sides disagree on who runs the country. And they can’t settle the question through elections because they don’t even agree that elections are how you decide who’s in charge. That’s the basic issue here. Who decides who runs the country? Fossil Fuels’ Share Of Total Energy Use Unchanged in 40 Years! What Is the Impact of Tax Reform on US Wind Tax Equity Deals? Germany’s National Power Grid Mess — 172,000 Power Outages Annually! New Study: German 2050 CO2 Reductions Could Cost $2.8 TRILLION! Are We Heading for an Immigration Sellout? State Law, the Constitution and Your Rights!